Are you a financial adviser, accountant or dealer group seeking Self-Managed Superannuation Fund (SMSF) leads for your advice business? Look no further! On the back of our popular ‘mortgage leads’ product, Wealthify is now offering financial planning leads for sale that target SMSF enquiries. Our SMSF leads are people who may be interested in either setting up an SMSF, or getting professional help with their current Self Managed Superannuation Fund. ‘SMSF leads’ can be an excellent option in today’s financial advice market. Many account holders are unhappy with their current fund, and SMSF’s are the fastest growing sector of superannuation. 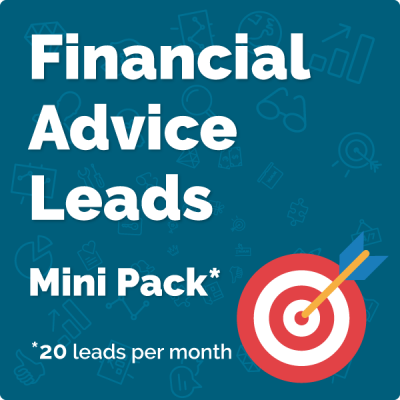 With our SMSF Leads MINI Pack Wealthify has created an affordable package that’s just perfect for smaller financial advisers who want to grow. We’ve put all the pieces together and will manage the entire lead generation process for you as a subscription service. 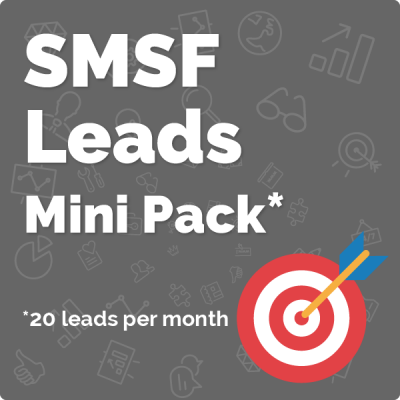 Enjoy SMSF leads generated in the name of your business, delivered straight to your inbox!